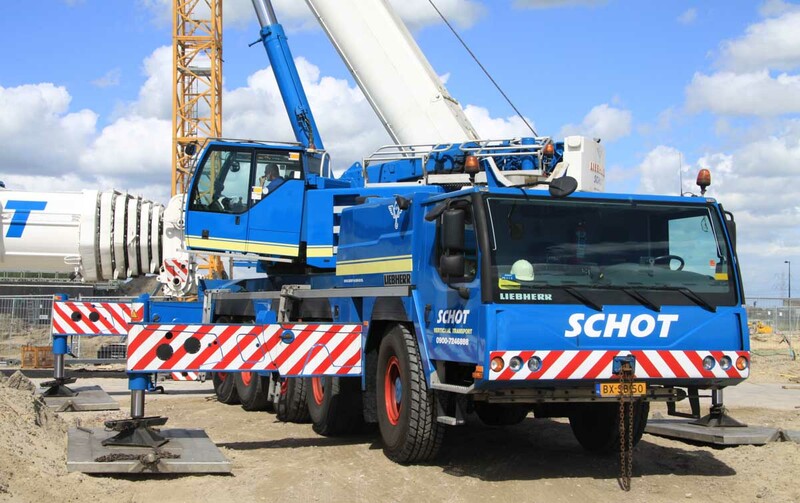 A Liebherr LTM 1130-5.1 of Schot from Amsterdam (NL). 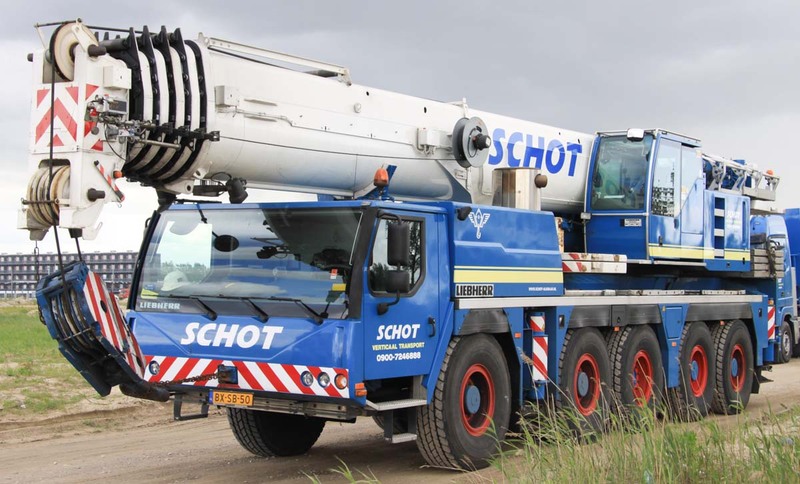 It is a 130 tonne crane with year of manufacture 2010. 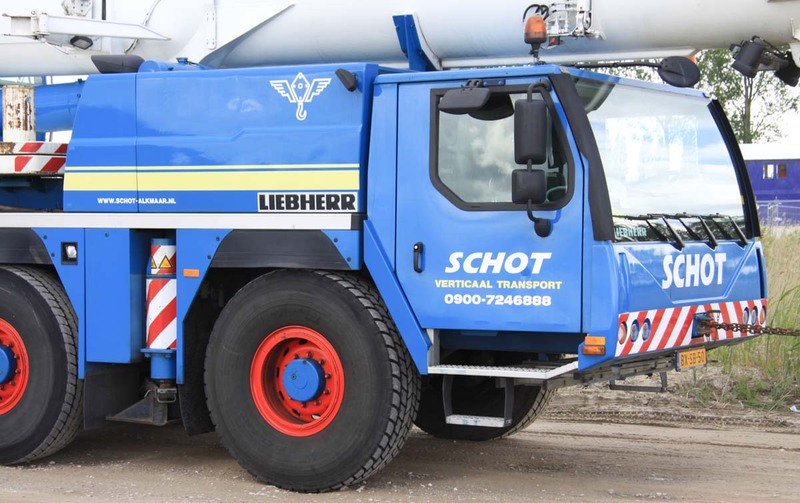 The undercarriage is powered by a Liebherr 6 cylinder 12.8 liter diesel engine with 503 hp. 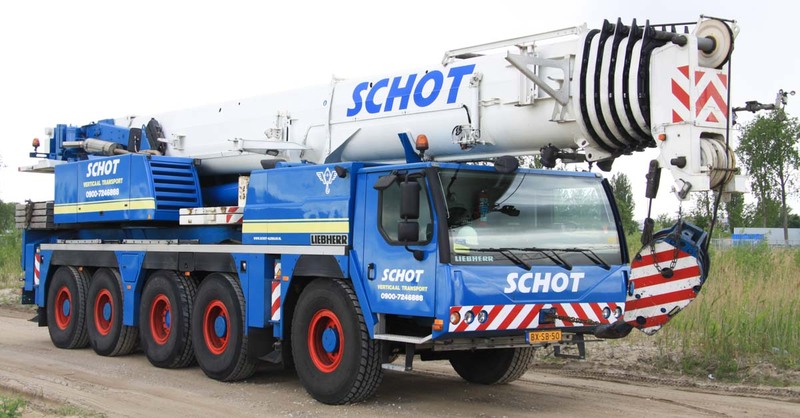 This crane has the optional 10 x 8 drive line, that means that the axles 1, 2, 4 and 5 are driven. All axles are steerable. 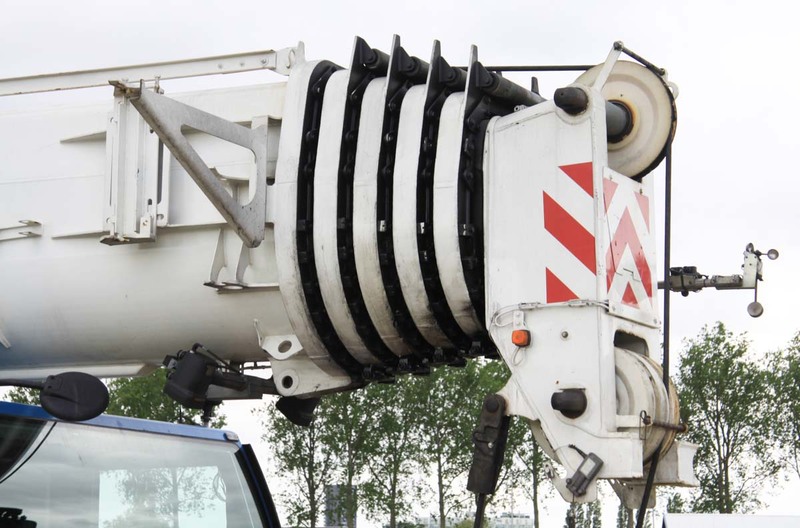 The main boom has a 12.7 meter base length and extends 5 times to a total length of 60 meters. 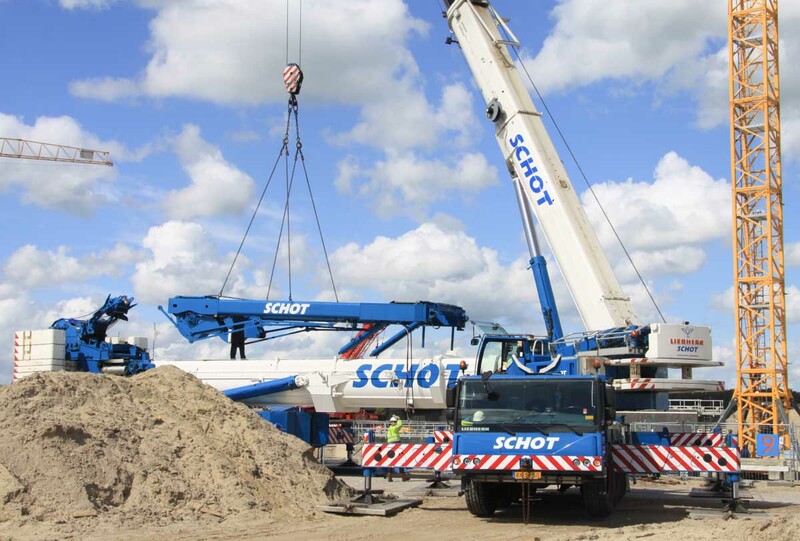 The 19 meter long folding jib isn't taken by the crane itself. 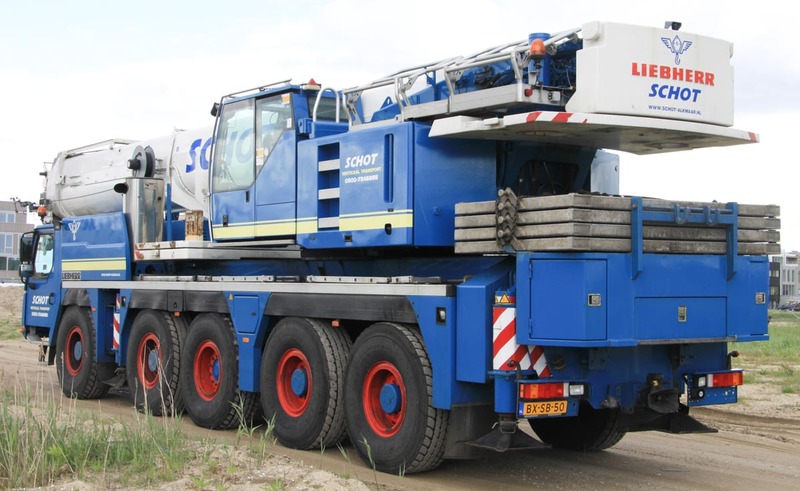 Packed has the crane a 14.8 meter length, a 2.75 meter width and a 4 meter height. The transport mass is about 60 tonnes. 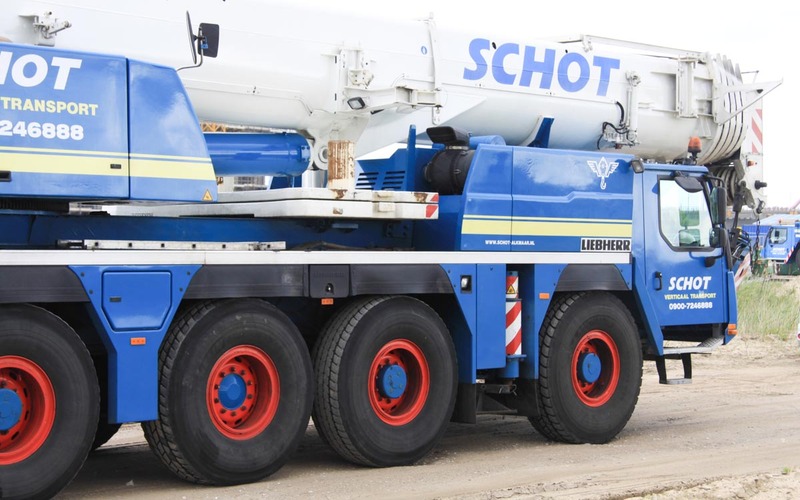 On the undercarriage is 6.1 tonnes of counterweight taken. 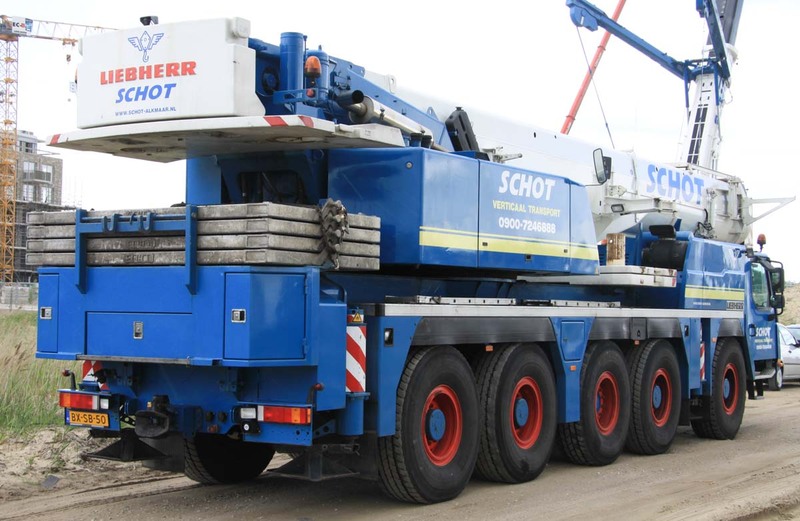 On the superstructure itself remains 5.1 tonnes of counterweight mounted, the crane itself takes 11.2 tonnes of counterweight with it. The max. counterweight is 42 tonnes, a part of the counterweight is taken on a 3 axle trailer (in total 29.3 tonnes). The hang-on slabs (2 x 6.35 tonnes) are supplied by truck. The tailswing of the counterweight is 4.2 meter. On the rear of the chassis is a nice storage compartment with lifting tools mounted, on top are laying the aluminium outrigger pads during transport over the road. The outrigger base of the crane measures 8.1 x 7.5 meters. The 1130 was used to take down the superlift of the LTM 1500-8.1.